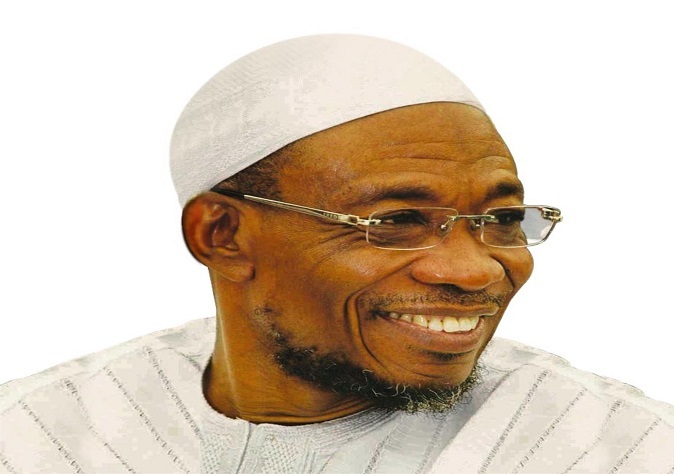 Two workers of the Osun State Broadcasting Corporation have been suspended indefinitely by the management of the corporation for allegedly calling Governor Rauf Aregbesola an unprintable name on a WhatsApp group, You and I. The duo were alleged to have taken to the social media to celebrate the victory of the Peoples Democratic Party’s candidate in the Osun West Senatorial District by-election, Chief Ademola Adeleke, and hurled abuses at the governor at the same time. Our correspondent gathered that Mr. Kunle Makanjuola and Mr. Gbadebo Adepoju were slammed with indefinite suspension on Monday by the management of the corporation, after officials of the corporation were shown the chats where the workers allegedly insulted the governor. Makanjuola is said to be a level 12 officer at the OSBC Ventures while Adepoju is a deputy director at the corporation’s Marketing Department. Adepoju allegedly wrote, “Drama in Osun State as state government, under the leadership of Rauf Aregbesola, begins the payment of June salaries at exactly 1am on Osun West Senatorial by-election day. Another worker of the OSBC, Mrs. Folakemi Alonge, who is a journalist, was said to have been queried for allegedly insulting a member of the House of Assembly at one of the polling units during the election. A source told our correspondent that the lawmaker accosted Alonge and asked her who she voted for but the journalist, who was said to have been angered by the question, asked the lawmaker to leave her alone or else she would embarrass him openly. The source said, “The lawmaker reported her to the management and the management queried her but the issue has been resolved. When contacted, the Commissioner for Information, Mr. Adelani Baderinwa, said the suspension was an internal matter of the OSBC and not that of the state government.